In fact, the surrogate was struggling to come to terms with carrying her sister's intended baby. emotionally difficult hormone cycle when Jane's sister offered to carry a baby for them. They already knew it would take donor eggs and Nick's sperm to make a baby, but was having Jane's sister carry the baby too much? Jane already had two kids from a previous marriage. However, doctors told her that her eggs were "potentially less successful" than eggs from a 25-year-old donor. So they went with the donor eggs, implanting 3 embryos. But as the pregnancy progressed, the surrogate wrote, Jane was "keeping her distance." Jane also told her sister that people had been asking how the surrogate was doing. Her response? That her sister knew how to "compartmentalize" and so it wasn't difficult for her. She also worried about her nephews' reaction to the pregnancy. 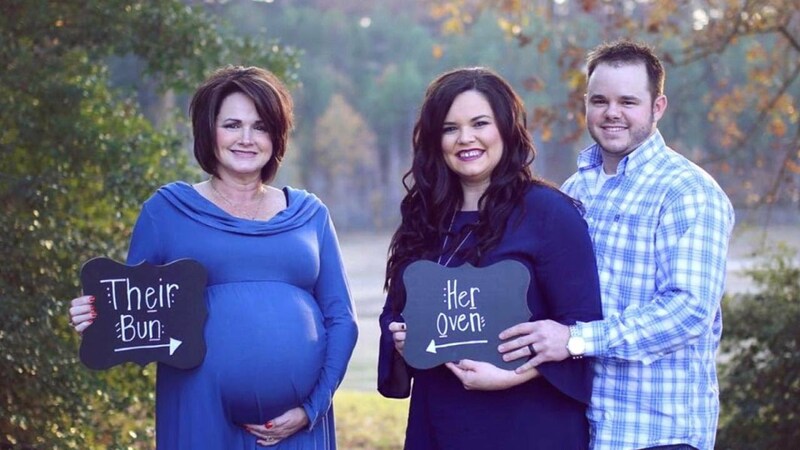 They didn't seem to realize they'd soon have a new sibling... or two.